We provide armed guards that are thoroughly trained in recognizing compromised situations and taking action. At the same time, our guards are approachable and professional in their work. More importantly, they ensure that a safe and conducive environment is maintained at workplaces and residential areas. One of the most important decisions that people need to make while opting for security guards is to decide whether the guards should be armed or not. Security companies provide both armed and unarmed guards depending on the security needs of a client. Armed security is typically found at events with a large number of people, such as concerts, conferences, exhibitions and parties. The sight of a security guard carrying a gun is enough for people to know that they are safe. It is always important to pick the right kind of security to keep businesses, homes, staff and clients safe. Our team of well-trained guards can spot signs of danger and take necessary action to curb possible danger. In cases where it is not possible to avert an unpleasant situation, we take strict action to resolve the crime. Data breaches can ruin businesses. The products manufactured by a company can also become a target of thieves. While an armed security guard might not be expected to control cybersecurity, they can definitely prevent the entry of unauthorized people into protected or sensitive areas. 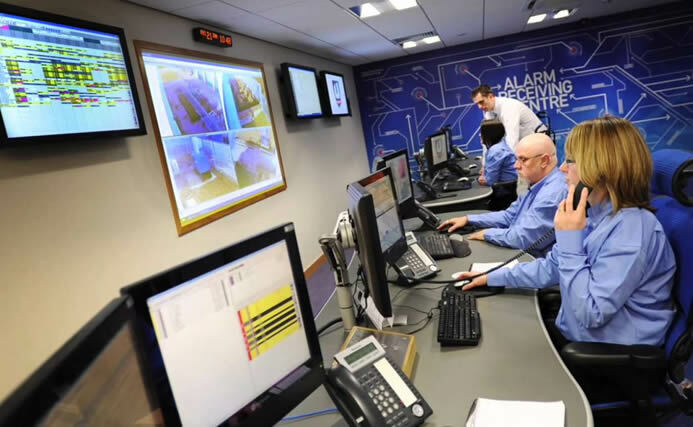 Armed security increases the probability of employees feeling safe and helps in preventing incidents of violence and vandalism in the workplace. It also deters miscreants and troublemakers. Is Armed Security the Right Choice? While financial institutions, museums, casinos, and jewelry stores almost always require an armed security, we evaluate your location and facility, assess its risks and vulnerabilities, to determine and suggest the most appropriate level of security that would be best for your location. As with all of our security services, our armed security action plan is customized to address your specific security needs.